“I never talk about this stuff in Hebrew, by the way,” Ori Allon warns us at the beginning of the interview. “I am doing this in simultaneous translation.” And indeed we had to translate many of the words used by Allon, for whom Hebrew is his mother tongue. And that is not the only surprising thing about him. While he is worth nearly 2 billion shekels, Allon is meeting us in shorts and a T-shirt in his New York offices, as though he as still a student. We are directed to his office by his personal assistant, who is part of the team of assistants surrounding Allon every day, and she tells us that the amount of time allotted for the meeting in advance. But Allon? Wandering through the hallways, giving high-fives to employees, and trying to maintain as little “distance” as possible. But there are more and more new employees to meet every day. As part of his doctorate, Allon developed an algorithm called “Orion”, and improved the search of general Google queries, which did not focus on a particular site. Several seniors from Google met him at the campus, and within a short time, the young student found himself in a meeting at the company’s offices. This all happened after Yahoo also showed interest in acquiring the algorithm. “I knew for sure that Yahoo wanted to buy it. I told them, ‘ok let’s talk about it and we will consider’, but already there, at Yahoo, I told the people that were with me that we would sell it to Google,” he recalled. Google invited Allon to the company offices in San Francisco, for a meeting in a closed room with the most senior experts at the time in the field of search. “When I went in I told them: ‘Come, I’ll show you the future of the world of search’ – I was a 25-year-old kid,” he tells us with a smile. How does a 25-year-old kid have the confidence to talk like that to a row of experts? And how does it feel to be a student flying first class for the first time? “I figured, this is how it’s done and I don’t to fly any other way,” he answers and laughs. After returning from San Francisco to Sydney, Microsoft also expressed interest. Ultimately, Google’s offer was the highest, and a personal connection with the company’s culture also helped. Orion was officially acquired by Google for a year for an undisclosed sum, which Allon split with the university. “It changed my life on a personal level, to go from being a student to someone who sold a company to Google. The next changes after that, with the sale to Twitter, with Compass, did not feel as dramatic,” Allon explains. After three and a half years, he went independent again and developed “Julpan”, an algorithm which enables searches of trends and events in real time, as they occur, instead of search results that turn up past entries. This time it was Twitter that acquired the engine in 2011. Allon did not stop there. In 2013, he had already established Compass with his business partners, Robert Reffkin, who had been an advisor at the White House and chief of staff to the COO and president of Goldman Sachs. Compass operates a technological platform which allows users and agents to make informed real estate decisions by presenting in-depth information on pricing trends and real-time market fluctuations. The Compass engine also presents detailed information on areas, neighborhoods, last transactions made, nightlife and educational institutions. With each passing year the recruitment rounds have grown. Last year the company raised one hundred million dollars from the investment fund Fidelity, with a valuation of 1.6 million dollars. But before we could blink an eye, Allon announced the raising of an additional $450 million from the investment fund Vision of the Japanese company Softbank – reflecting a company value of $2.2 billion. “Since the investment, we have been growing at a faster rate than ever,” Allon says, “in terms of the scope of transactions, and the number of employees and agents.” According to Allon, if in 2016, Compass’ scope of transactions stood at $7 billion, in 2017 it doubled and stood at $14 billion. “In 2018 I believe that we will surpass $30 billion,” he says confidently, promising that Compass will arrive to every big city in the USA by 2019. And from there? To the rest of the world. According to market estimates, the company’s next fundraising should reflect a double value of around 4 billion dollars. Softbank’s fund is known in the market for doing a “double down”, that is, to invest again in companies they have already invested in, thereby giving their portfolio companies a significant advantage in the market. Among their investments one will find big names, such as WeWork, Uber, and the Israeli insurance company Lemonade. The way Allon sees it, selling is not in the plans, especially having sold two companies already in the past. “When I started Compass, I wanted to build a company that will grow and use technology to grow. The technology that I built greatly improved Google, and then Twitter, and I said to myself that this time I don’t want to sell, but rather to build a business around the technology,” he explains. What is your share in the company? “I won’t go into numbers, like I won’t talk about my personal life. But I can tell you that as the founder and chairman, I am among the largest shareholders in the company. 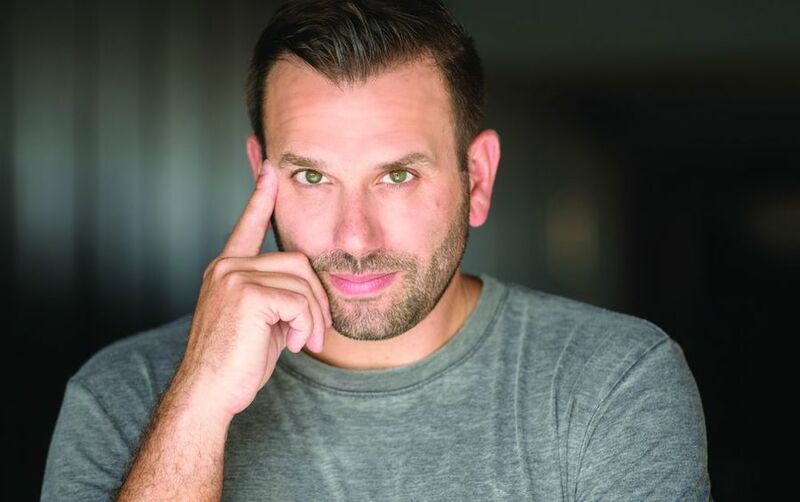 As someone who has already had two tech companies and managed to acquire and manage a basketball team, Allon was not afraid to explore a new field and dive deep into the real estate market. “The biggest investment that most people make in their lives is in real estate,” he explains. “I felt like there was no good way to make decisions in the field. There were companies that provided an information retrieval service, like Zillow, but I did not see anything that accommodated all the user’s needs. There were lots more places where it would be possible to improve the technology.” According to him, most real estate companies looked at the short term and the “next sale” and did not invest in technology. “Look around you and you’ll see how many buildings and properties there are,” says Allon, who sees the real estate market as a big opportunity precisely because of the proliferation of technologies in the field of big data. There are many factors that determine the price of property – starting with measurements such as the country’s economic stability or the state of infrastructure in the city, all the way to more specific data such as the price of the apartments next door or access to nightlife in the next street over. All of these change all the time, many of them faster than the time that it takes the real estate agents to keep track of what is happening – especially in developing neighborhoods. If up until recently, the real estate agents were relying on data from different sources, the Compass technology is trying to bring this variety of data together into one source, and enable agents to make decisions regarding buying and selling properties more efficiently. “We take the sale process and break it down to the three to four things you need to know in order to decide,” Allon explains. 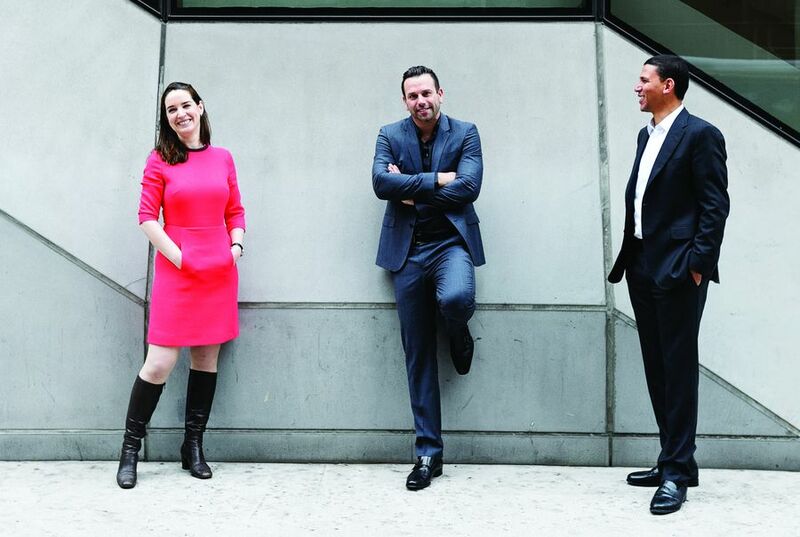 Combining big data with real estate was not easy. Compass started out in the years when most of the minds that concerned themselves with the engineering of computers and information systems were attracted to the leading companies in the fields of search and finance. This was at a time when the real estate market, like many other industries, was left behind. “These are people who did things for Google and Twitter and you need to explain to them why real estate is such a challenge. It’s not a problem that you think people who excel in computer engineering will want to solve. Now that has all changed. Suddenly people understand that not all the engineers need to go to companies that do social networking, application development, or finance,” Allon explains. Thus, what Uber does to the taxi market, and Airbnb has done to hospitality, Compass wishes to do for the field of real estate. And they’re not the only ones. There are other companies, like WeWork, who are developing information systems in the field of real estate, no? “I don’t want to talk about other companies. There are several companies who have understood what I understood five years ago and began to invest in real estate information, and I am glad that we were among the first to be active in the field. How does it alter the agent’s experience? “Today we ave 12-15 different technological tools that help agents. For example, there is an insight tool, so if an agent is now sitting with a client in the apartment, he can instantaneously show him what has happened in the apartment’s immediate surroundings in recent years, and this tool can ultimately influence the client’s decision. 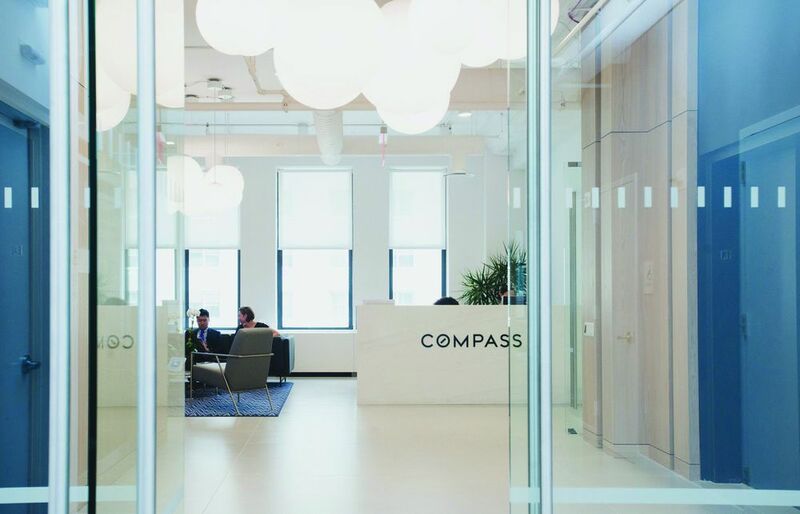 But the strong branding that has been created around Compass also helps, as well as the company’s unique culture, which integrates software engineers and real estate agents in one building. “I am on the side of technology. We have enough real estate professionals. I am focused on the product,” Allon is quick to respond when asked where one should invest in real estate in the United States. If in some of the suburbs in America it was possible to acquire property for cheap, especially after the 2008 crisis, and to earn a tidy profit off it, when it comes to the Compass databases, the location is only in large cities, where the returns vary depending on the neighborhood. But with all due respect to technology and the investments of billionaires, most Israelis who hear the name “Ori Allon” will know him as the owner of Hapoel Jerusalem. Or, more precisely, the ex-owner. About three months ago, after five years in which he served as owner of the team and led it to two historic championships and the Eurocup semifinals, Allon announced he was leaving. The announcement came a moment after Hapoel Jerusalem lost in the Final Four semifinal against Hapoel Holon, leaving fans of the team stunned. In any case, Allon will be remembered in the history of the team as the man who changed its DNA, and turned it from a losing team, on the verge of being disbanded, to a victorious one. In fact, apart from Maccabi Tel Aviv, Hapoel Jerusalem is the only team in Israel that has won two championships in the last forty years. How would you sum up Hapoel Jerusalem? “It was definitely one of the biggest successes I’ve had. I am very proud of what we did there. It was amazing, because I was able to return to the city where I grew up and to bring so much joy and happiness which was an enormous source of pride to me. As a fan of Hapoel Jerusalem, we always grew up with the feeling that we had never won the championship and never would. There were even songs about it, but I showed that it was possible. That if you do things right and manage the team right, you can do it not once, but twice. However, publications in Israel claimed that Allon sold his part of Hapoel in order to become an owner of a “slightly” bigger team that he had been a fan of since childhood – the Boston Celtics. Sources close to Allon said that he had already gone over the hefty team contracts, which is estimated by Forbes to be valued at 2.5 billion dollars and is in fifth place in the list of richest NBA teams. 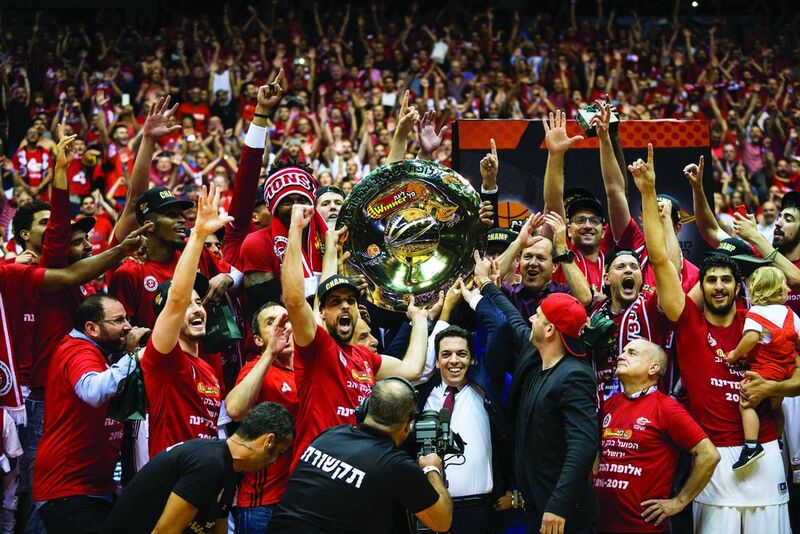 According to the rules of the NBA, it is forbidden that owners within the league should own any additional teams, so Hapoel had to be taken off the table. Is it that your leaving is related to the fact that Hapoel didn’t get into Euroleague? What does a successful entrepreneur who made a lot of money do? Aside from investing in a basketball team, Allon also invests in the technologies of other entrepreneurs: “One of the things I most love doing is to meet innovators and new companies,” he says. Allon was one of the first investors in the cooperative transport company Lyft, and has invested in other companies, like Spotify, and e-commerce companies in China. In recent years he has been spending more time in California, capital of American cinema, and with spending time on the California beaches comes an appetite for business. Sources close to him say that Allon plans to start his own productions company soon, which will produce films and invest in Hollywood productions. Which fields interest you as an investor? Do you have any affinity for Israeli entrepreneurs? “Let us guide you home,” says the home page of the Compass website. If you ask Allon, for him there isn’t just one home, but two – Israel and New York – to the same degree. “New York is the place in which I built my businesses and where my club is, my bar, my life. Israel is the place where I began, and where my family and my first home are. I can’t compare them, because New York is more my here and now, but Israel will always have a special place in my heart, because that is where I was born and raised,” he explains. And he definitely succeeded. Last year, Allon was ranked 90th in the Forbes list of the richest Israelis with capital of 1.15 billion shekels. This year his estimated value jumps to 1.8 billion shekels, which lands him in 66th place. How much are you worth today?